Coach Senirusi Seruvakula says the Telecom Fijian Warriors forwards pack should match the Uruguay up front this weekend. The team departed yesterday for games against Uruguay and Argentina. “They have a good forward park and we’ve worked hard in order to match them up-front,” Seruvakula said. 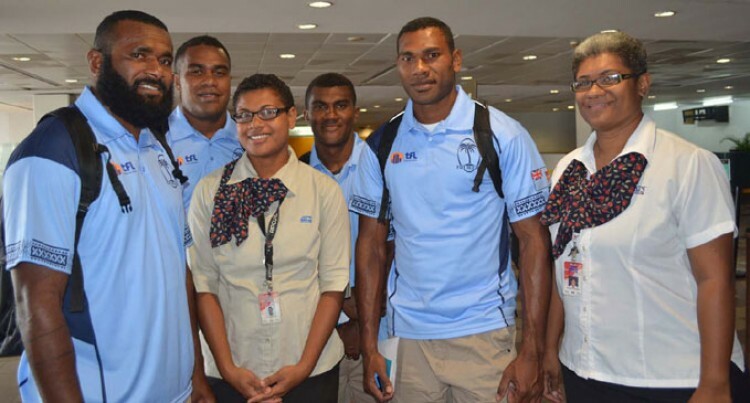 Their tight five includes overseas-based reps Api Naikatini, Taniela Koroi, Kirwin Sanday and Peni Ravai. He said the onus was on the players to prove themselves. “This is a good opportunity for the players to fight for a spot in the Pacific Nations Cup and the 2015 Rugby World Cup in September,” he said. Meanwhile, he 11 new players include Ravai, Sanday, Jolame Bera, John Dyer, Meli Baivatu, Saimoni Tuilaucala, Sam Speight, Josaia Qumi, Tikilaci Vuibau and Kitione Ratu.